Sometimes you come across a product so perfect you think, "Why didn't I think of that?!?". That's how I felt about Love To Dream's INVENTA sleep bag. Like most parents, we've figured out that establishing some sort of sleep routine usually results in a much smoother bedtime (and better nighttime sleep). 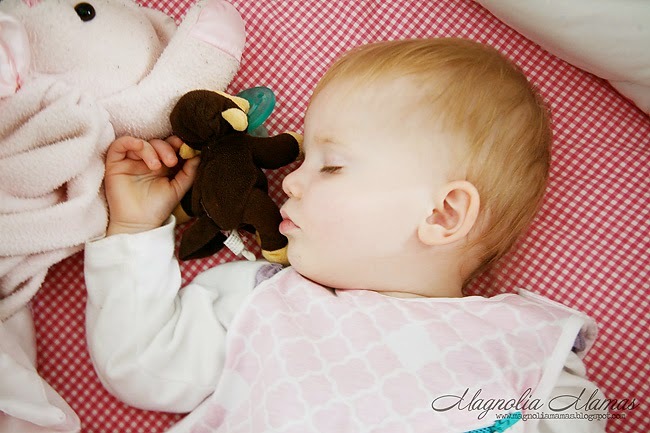 With each child the sleep routine varies, but we have found one that works perfectly for us, and our children, and fortunately bedtime is usually a peaceful part of our day. Every time we put Little Cute to nap or bed we change her diaper, put her in her sleep bag, and read her two stories that she gets to pick out. Once the stories are finished its usually a quick kiss as she gets placed in her crib, and within a few moments she is fast asleep. She has learned her cues, and the moment she sees her sleep bag she usually starts rubbing her eyes and yawning. As seasons started to change, we began doing the crazy dance of trying to wear appropriate clothing for the days and nights. One day it would be 80 degrees and the next 30. Hot during the day, cold at night. I had two sleep bags for Little Cute to wear, a light weight one for warmer nights, and a fleece one for colder nights, but some nights I would make the wrong call and Little Cute would wake up with freezing cold hands or in a pool of sweat. Not only did I feel guilty, but as any mom of young children knows, sleep is important. For everyone. When I was asked to try out the INVENTA sleep bag, I was intrigued. Love to Dream took into account parents worries of SIDS and appropriately dressing their little ones when thinking of their sleep bag line. 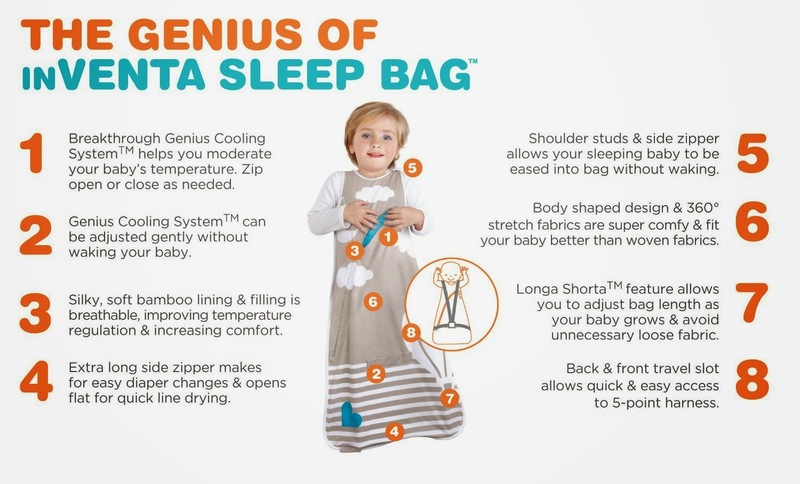 They invented the Genius Cooling System and placed it in their INVENTA sleep bag design. 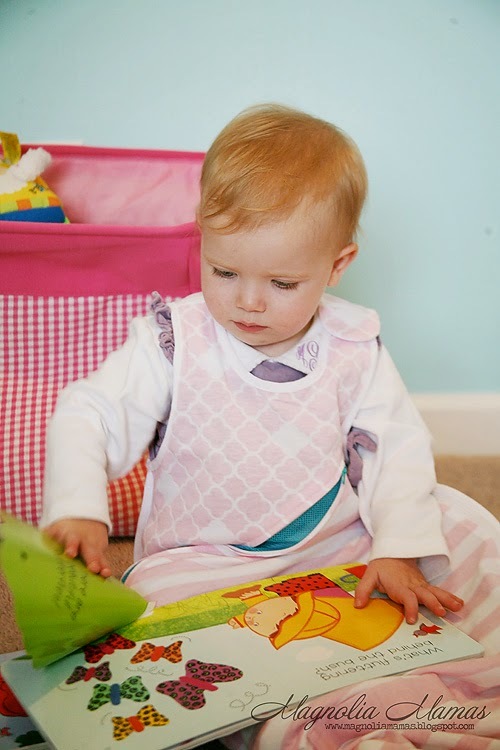 The INVENTA is fairly lightweight, but is made of a hypo-allergetic material with a bamboo lining that serves to retain warmth as well as to wick away any moisture and keep baby dry. 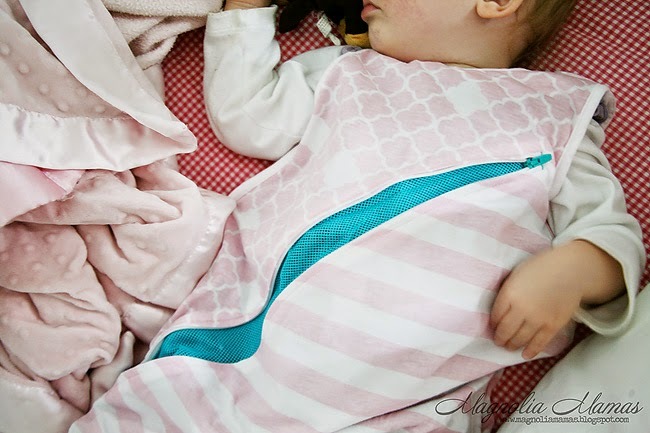 The genius part comes into play with the fact that the sleep bag also has a number of zippers strategically placed among the sack so that parents can adjust their little ones temperature as necessary with a quick zip or unzip. Seriously, genius! Now I went from using two different products and trying to make an accurate guess on how to pair that with weather appropriate pajamas to just the INVENTA and season appropriate pajamas. If I ever felt like she was getting over heated, or I miss guessed, I just snuck in her room and adjusted a zipper or two. I was instantly in love with the INVENTA and the reassurance it gave me. Photo courtesy of Love to Dream. Another awesome feature of the INVENTA that I like is that it grows with the child (up to 36 months). 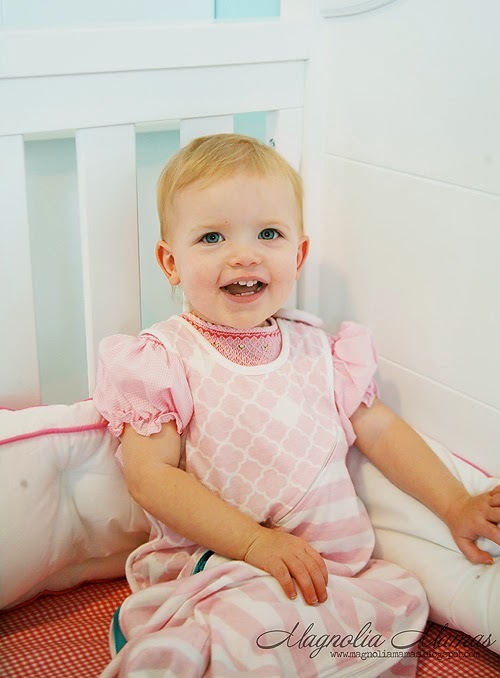 It has a snap system that allows you to shorten or lengthen the sleep bag as needed for your growing child. So now I've gone from two sleep bags for different temperatures down to one, and I am also able to use that one sleep bag until the remaining time she will be sleeping in one instead of repurchasing every few months as she grows. How great is that?!? Less money on sleep bags, and more on cute baby shoes is always winning in my book. 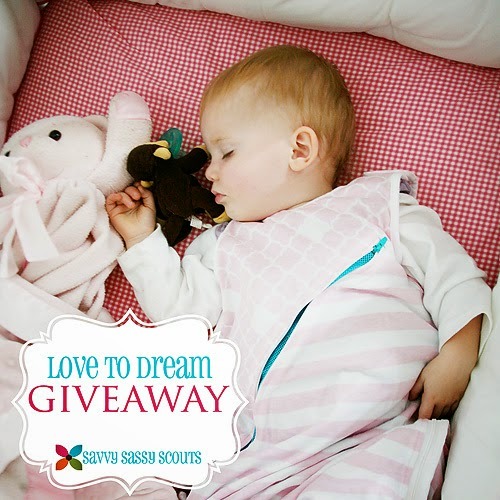 If you would like to try the Love to Dream products, Savvy Sassy Moms is giving one lucky reader a chance to win a Gift Set of all three of their sleep products (Swaddle Up, Swaddle Up 50/50, and INVENTA Sleep bag). For more information on these products, and the chance to win this giveaway click HERE! We hope you have sweet dreams tonight! I received these products for review as part of the Savvy Sassy Moms Product Scouts program. All opinions are my own. This post also contains some Amazon affiliate links.